In the InLoox PM options, you can customize and configure the InLoox PM features, inter alia the customer number. 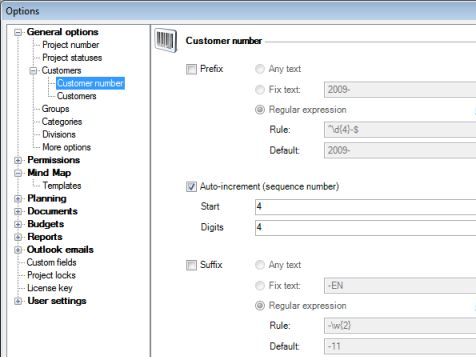 In the InLoox PM Options, in the Customer number area, you can define the number format rules. How to edit the default number assigned to registered customers | InLoox PM 8 • Copyright 1999-2019 © InLoox, Inc. All rights reserved.